One of my first pipkins came from Mistress Gwen. I have put that poor thing through hell, and yet it is STILL going strong. I believe she tends to do more stoneware than earthenware. 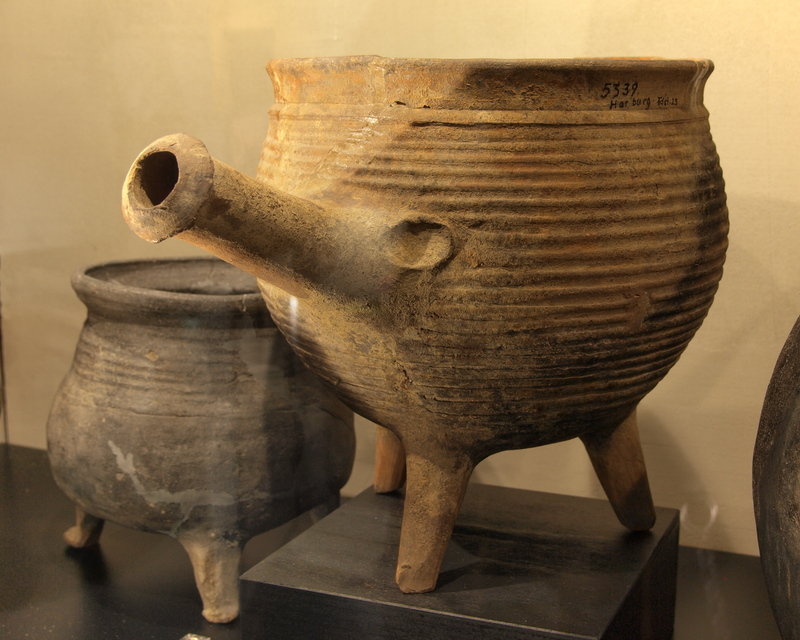 She does a fairly broad array of functional pottery, including different styles and sizes of medieval cooking pots. I know she sells her work at events, but she does not appear to currently have a schedule or an online store. I probably have more pottery from Morgaina than anyone else. I have cooked in many of her pots and have loved them all. A few I have loved to death, but that just gave me an excuse to buy a new pot. She does both earthenware and stoneware, and has a particularly beautiful line of earthenware made with mica inclusions (they sparkle!) She makes a range of items of interest to the historical cook, with a particular focus on Viking and medieval replicas. She sells both at events and online. Located in CAID, Mercy makes forays up to An Tir / West War on occasion as well as selling online. Mercy made the historical pie plate that I use for most of my serious research pies. (Now that’s a thing I should start — there should be a Eulalia seal of approval for replica historical pie plates!) She does a range of items and styles, including some Roman / classical pieces. One of my most prized pipkins came from this team of talented potters — a long-handled pot based on a 13th century find from (where else?) York, England. A persona-appropriate pipkin! Eeeeeeeeee! It would appear from their website that they are not currently selling cooking pottery, but perhaps they will be again someday. I have only just bought my first pipkin from her (actually, I think it might have been made by her husband, whose name I can’t find at the moment) but I have high hopes for it. I am always looking for more historical cooking pottery. Feel free to post additional recommendations in the comments. As much as possible, try to keep the focus on potters who make functional historical cookware (rather than tableware, even if historical) because that tends to be harder to find. Should you ever come down to the Central West Kingdom (braving the heat) I would be happy to introduce you to Anastacia, who makes most of mine. Medieval York: Eulalia Hath a Blogge Blog at WordPress.com.